Dr. Barzilai is the Director of the Institute for Aging Research at the Albert Einstein College of Medicine of Yeshiva University. He is The Ingeborg and Ira Leon Rennert Professor of Aging Research, Professor of Medicine and Molecular Genetics and a member of the Diabetes Research Center, the Divisions of Endocrinology and Geriatrics. He is also the Director of the Diabetes Research and Training Center Physiology core. Dr. Barzilai’s interests focus on several basic mechanisms in the biology of aging, including the biological effects of nutrients on extending life and the genetic determinants of life span. Indeed, he has discovered the first longevity gene in humans, and is further characterizing the phenotype and genotype of humans with exceptional longevity through an NIH supported Program Project. He is also leading a Program Project to investigate the metabolic decline with aging and its impact on longevity. He received numerous grants, among them ones from the National Institute of Aging (NIA), American Federation of Aging Research, and the Ellison Medical Foundation. Dr. Barzilai has published over 160 peer-reviewed papers, reviews and chapters in textbooks. He is an advisor to the National Institutes of Health on several projects and initiatives and study sections. He serves on several editorial boards and is a reviewer for numerous other journals. 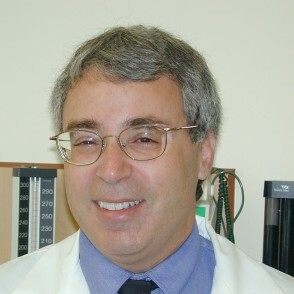 Dr. Barzilai was a recipient of numerous prestigious awards, including the Beeson Fellow for Aging Research, the Senior Ellison Foundation award, the Paul Glenn Foundation award and the NIA- Nathan Shock Award for his contributions in elucidating metabolic and genetic mechanisms of aging, and will receive the 2010 Irving S. Wright Award of Distinction in Aging Research Award. In his capacity as the Director of the Institute for Aging research at Einstein he leads or assists in 5 large programmatic (P01) approaches to biology of aging, a training grant (T32) and has additional individual grants (R01).